ROOMS: There are only 33 overwater suites and villas on Cocoa Island which gives the entire island a bespoke, private feeling. Each room has its own private terrace, which allows you direct access to the water and incredible views of the horizon. The interiors are uniquely minimalistic with white walls and wooden furniture, inspired by dhoni boats. The largest room category, the COMO Villa, features two bedrooms. POOL/GYM: There is one 25m infinity-edge swimming pool on the island as well as a hydrotherapy pool, but don't forget to have a swim in the expanse of beautiful clear blue water that surrounds you. There also is a gym on with weights and cardio equipment. RESTAURANT: The island's sole restaurant, Ufaa, serves all meals. Guests have the option of dining indoors or out, which is lovely. There are themed dinner nights several times weekly, ranging from seafood to Indian and everything in between. Ufaa offers South Indian favorites alongside Asian and Mediterranean classics. They also feature the COMO Shambhala cuisine, which incorporates organic ingredients for those who prefer healthier options. VIBE: Classy, chill beach vibe. SPA: The COMO Shambhala Retreat has three single massage pavilions with an outdoor shower garden and one double massage pavilion with outdoor shower/tub. This spa is incredible; we did one of the Ayurvedic massage treatments here which involves dousing you in oil pre-massage. The oil that they use is created depending on how you answer a series of questions prior to the beginning of the treatment. BAR: The great beach bar, Faru, serves happy hour cocktails daily from 5-6pm. It's very chilled out and has a great menu of beers, wines, and cocktails. KIDS: The resort accepts children, but be mindful there isn't a dedicated kid's program. Since all accommodation is located on the island, you will need to carefully keep your eye on young children at all times. LOCATION: Cocoa Island is only a 40 min speedboat ride south of Male. 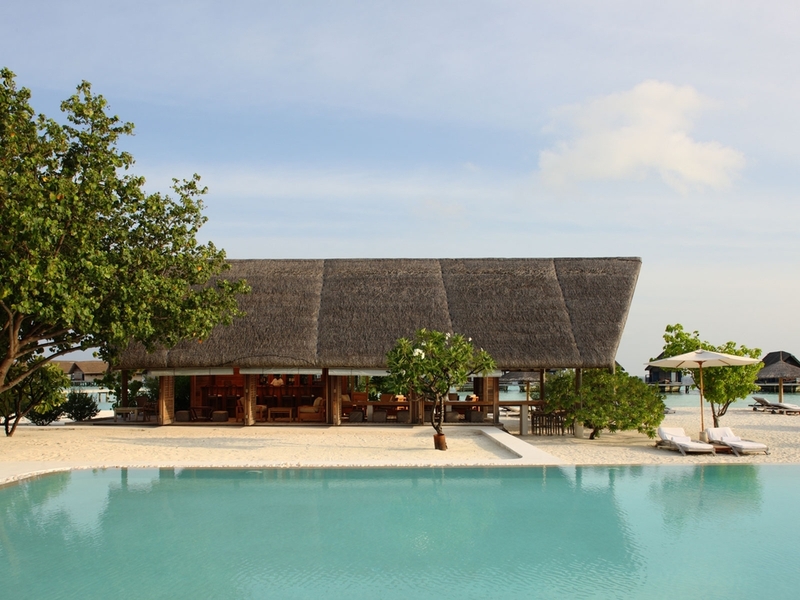 The island is known locally as Makunufushi, and is located among South Malé’s coral atolls. This was a bucket list trip for me, and it exceeded all of my very high expectations. From the moment you land on Cocoa, you feel the sand beneath your feet and you're instantly relaxed. The accommodation blows your mind, and the native dhoni boats are so interesting and unique. The blue water that surrounds the island is incredible and we loved watching the sea life as we walked around and swam! The northern part of the island is so amazing at low tide, it feels like you are walking on water. The food was so delicious with lots to choose from, and we particularly loved the COMO Shambhala menu as it was so fresh! The spa treatment was very relaxing and was well needed after a long plane ride. The staff are super friendly and everything is very calm. I loved not having to catch another plane to get to the island (like most parts of the Maldives), and I would certainly go back in a heart beat!